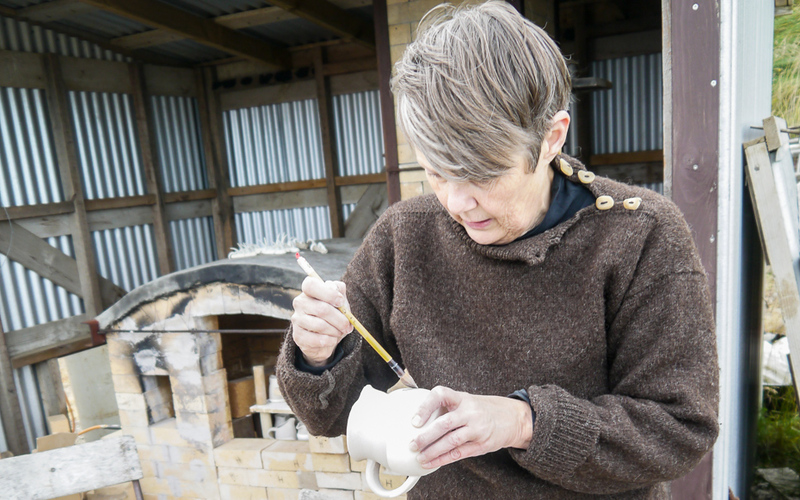 Ólöf Erla Bjarnadóttir painting a pitcher with glaze. 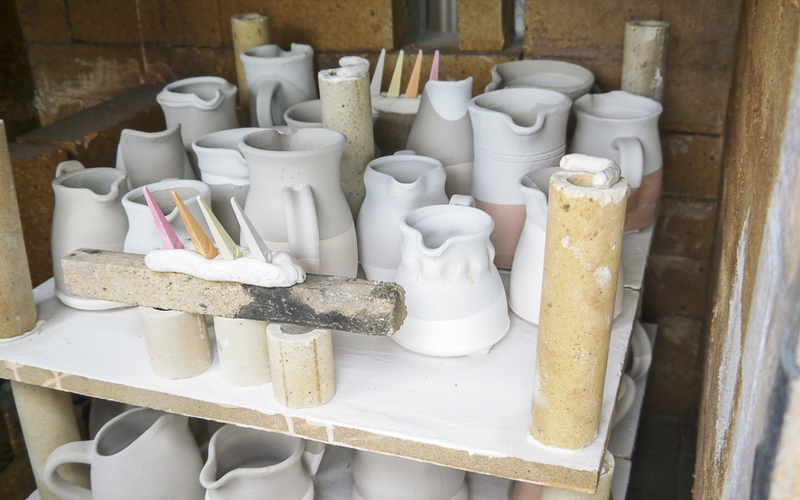 Ceramics ready to be fired in the kiln at Nýp. © Guesthouse Nýp 2014. All rights reserved.